Bringing a new level of viewing experience the Viking ED–FF 8x42 binocular provides stunning edge to edge clarity thanks to the field flattening lenses. The Viking ED–FF 8x42 is a high quality binocular with advanced features giving a high quality image in a robust and fully waterproof form. Field flattening lenses maximise sharpness and brightness right up to the periphery whilst minimising image distortion saving time refocusing. 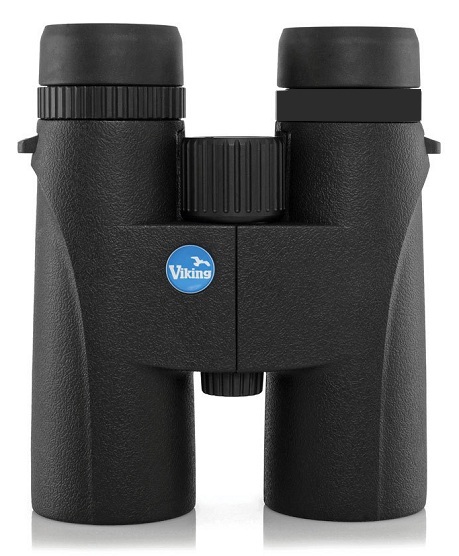 The Viking ED–FF 8x42 binocular has been designed with ergonomic’s in mind and its tactile rubber covering and thumb recesses make the ED–FF comfortable to hold for any length of time. The special oilphobic coating gives additional protection against the elements by repelling water and dirt.